William Shakespeare's epic tragedy Romeo and Juliet made a huge splash when it reached Broadway in 1957 in the guise of West Side Story, in which the warring Montagues and Capulets were replaced by New York City street gangs, the Italian-American Jets and Puerto Rican Sharks. The newer version, with book by Arthur Laurents, music by Leonard Bernstein and lyrics by Stephen Sondheim, ran for 732 performances before going on tour and has been performed in theatres across the country and around the world ever since. 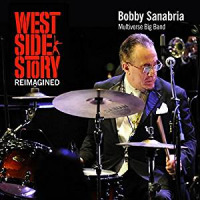 For those who thought that nothing more could be said or written about that groundbreaking play, drummer Bobby Sanabria and his New York-based Multiverse Big Band have reappraised West Side Story on its fiftieth anniversary from a Latin perspective, infusing the score with rhythms and accents that Bernstein, in spite of his vast musical knowledge, perhaps never even knew existed. These include, among others, the bomba xica, joropo, bembe, bomba yuba, samba-cancao and son montuno. As a result, Bernstein's impressive score sounds even fresher and more enlivening than ever. 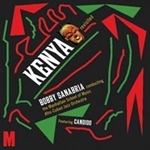 The lovely ballad "Maria," which opens the "Second Act" of this two-CD set, is singularly transformed, using African bembe rhythms, Nigerian / Yoruban ceremonial drums and forceful chants by Sanabria and the ensemble to underline its amorous theme. That, however, is but one example among many, as arrangers Jeremy Fletcher, Niko Siebold, Jeff Lederer, Matt Wong, Danny Rivera, Eugene Marlow, Andrew Neesley and Takao Heisho let their imaginations run free to lend the entire score a twenty-first century carriage and tenor. Trumpeter Neesley, baritone saxophonist Rivera and percussionist Heisho double as members of the ensemble. Fletcher's aggressive arrangements of the "Prologue," "Gee, Officer Krupke," "One Hand, One Heart," "Somewhere" and "Epilogue / Finale" are especially effectivewhich is not to imply that the others are not. 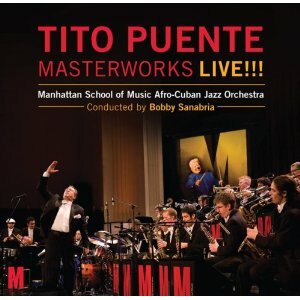 Indeed, everyone plays a pivotal role in bringing Sanabria's vision to lifeand that of course includes the superb Multiverse ensemble, which never misses a beat in a performance recorded live at Dizzy's Club Coca-Cola in the Big Apple with proceeds earmarked for Puerto Rico hurricane relief. There is a modest trade-off in that Sondheim's memorable lyrics have fallen by the wayside, but the band more than compensates for the loss with its irrepressible ardor and unflagging fidelity to Bernstein's marvelous score. Sanabria introduces the "Epilogue" with an eloquent plea for peace and understanding, and afterward takes time to introduce everyone in the twenty-member Multiverse band. The audience at Dizzy's clearly loved and appreciated the performance; chances are you will too. Track Listing: Intro; Prologue; Intro Jet Song; Jet Song; Intro America; America; Gee, Officer Krupke Intro; Gee, Officer Krupke; Tonight; Gym Scene - Blues / Mambo; Gym Scene - Cha Cha Cha; Maria; Intro Cool; Cool; The Rumble / Rumba; One Hand, One Heart; Somewhere; Intro Epilogue / Finale; Epilogue / Finale; Outro. 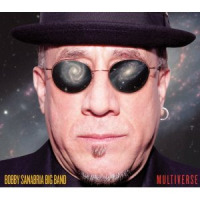 Personnel: Bobby Sanabria: music director, drums, cowbells, police whistle, samba whistle, lead vocals; Kevin Bryan: trumpet, opening whistle; Shareef Clayton: trumpet; Max Darche: trumpet; Andrew Neesley: trumpet; David Dejesus: alto, soprano sax, flute; Andrew Gould: alto sax, flute; Peter Brainin: tenor sax, flute; Yaacov Mayman: tenor sax, flute, clarinet; Danny Rivera: baritone sax; David Miller: trombone; Tim Sessions: trombone; Armando Vergara: trombone; Chris Washburne: bass trombone; Gabrielle Garo: flute, piccolo; Ben Sutin: electric violin; Darwin Noguera: piano; Leo Traversa: electric bass; Oreste Abrantes: congas, itotele bata drum, second voice on “Maria”; Matthew Gonzalez: bongo / cencerro, primo bomba drum, lya bata, requinto pandereta, ganza, Dominican guira; Takao Heisho: claves, Cuban guiro macho, cencerro, Puerto Rican guacharo, okonkolo bata drum, maracas (Cuban and Venezuelan), shekere, tambourine, cuica, pandeiro, triangle, gong, police siren.